Dr. Margaret A. Boden, OBE, is a Research Professor of Cognitive Sciences who has published many fascinating papers on topics in artificial intelligence and creativity. She identifies three ways in which humans generate creative ideas – ideas that are “new, surprising, and valuable”. Most relevant to this blog entry, we create through combinational creativity – the generation of unfamiliar (and interesting) combinations of familiar ideas. (Boden also studies exploratory and transformative creativity, both of which I will look at in future postings.) Combinational creativity surprises us by connecting things and ideas that are not normally linked. 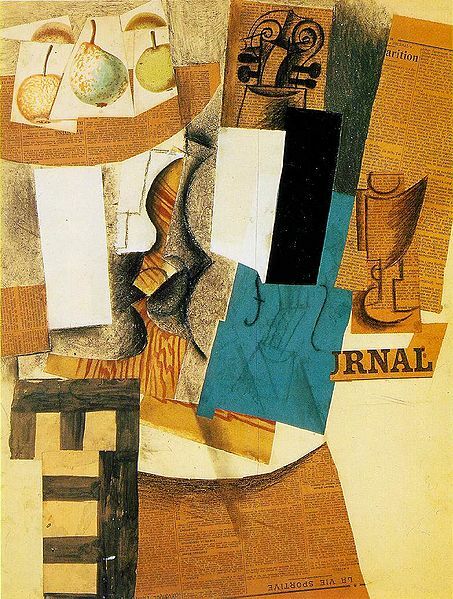 Collages, Bizarro cartoons, and metaphors are all examples of combinational creativity. 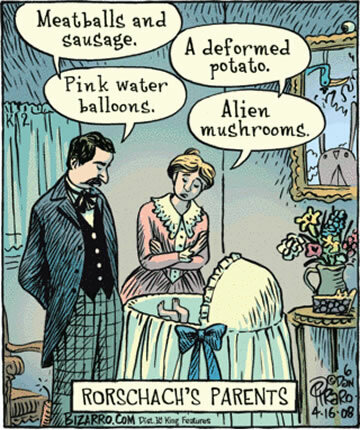 Each combines things in ways that are unexpected, creating thought-provoking, humourous, and surprising results. Creativity trainers encourage the use of combinational creativity to stimulate new ideas for businesses or new perspectives for problem solving. For example, the exercise that is sometimes known as Random Input, asks participants to use combinational creativity to break through roadblocks in their thinking. (And yes, Random Input is one of the 5 Jolts! It’s the process I’m using to write the blog, after all.) In this technique, you select a random word or image as a starting point for brainstorming. Open the dictionary, newspaper or novel at a random page, and choose a word that is unrelated to your topic. Concrete nouns work especially well. It happens that I started out my Random Input exercise with an image that caught my eye – a cake! You can see why it screamed creativity to me in the second jolt below. I’ve described the basic concept of Random Input above, and I’m sure that you can imagine lots of ways that it can be used in a mediation, even if it is more commonly used as a brainstorming tool for teams. Consider, in particular, how you might use it as a “deal mediator” – someone who is acting as a mediator in the development of a business transaction or the development of an estate plan, etc. Random Input can be fun, stimulating and a great team building exercise for groups that are not trying to resolve a problem, but instead trying to develop the best possible deal. MindTools – A useful educational website with lots of brainstorming ideas. Roger von Oech’s Innovative Whack Pack – Small Claims Mediators have seen my Pack at an Impasse Breaking workshop in 2009. Von Oech has created a deck of cards with different creativity strategies on each. Instead of choosing a word, choose a strategy and try to apply it. And he now has a Creative Whack Pack iPhone app. 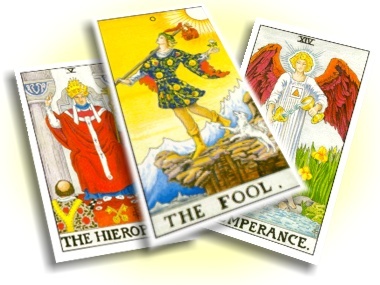 Tarot cards – Books, magazines, newspapers … Anything can be used to find a random word, of course. But images are fun too, and can lead to even wider interpretations. Tarot cards are a handy size to carry, and the 22 cards of the Major Arcana can be especially evocative. And, it’s easy to create your own Random Input toolkit. A bag of miscellaneous objects, a collection of photos from magazines, or a simple word list – all will work to inject a new and random element into the group’s brainstorming work. 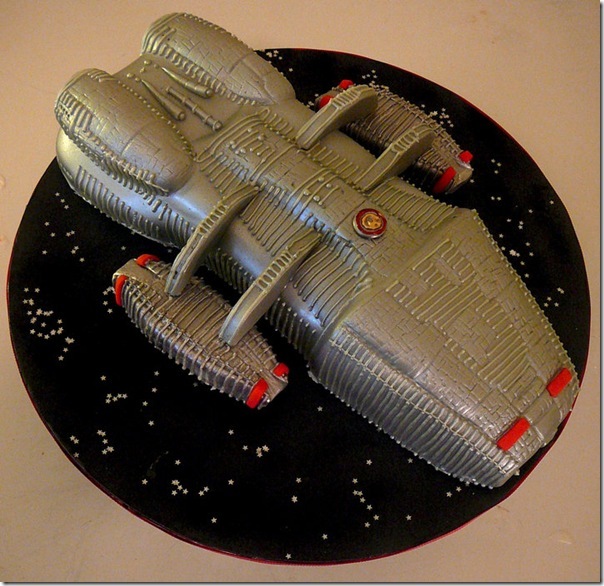 This was the image that caught my eye and made me think – CAKE! – as the trigger word for my contemplations. It’s a glorious example of combinational creativity, of course – while the combination of baking and popular culture is growing these days, it is still surprising when one stumbles upon such a fabulous example. This one comes from Kandy Cakes in Cambridge, Ontario, but I spotted it on the fascinating blog Between the Pages: Where pop culture and food meet. a) Flourless chocolate cake and b) wacky cake: Both of these cakes offer the opportunity to discuss creativity. Flourless chocolate cake works as a metaphor for problem-solving – you really don’t have to include all the same ingredients in every cake, and there may be excellent reasons to leave some out (the guest with wheat allergy might stand in for the party with any number of interests that run counter to a “standard” way of resolving a problem). Wacky cake, aside from having a great name, is a different variation on the non-standard ingredients idea – in this case, the cake is made with ingredients one doesn’t expect in a cake: no eggs, but there is vinegar! c) Devil’s food cake – clearly the food for the devil’s advocate. 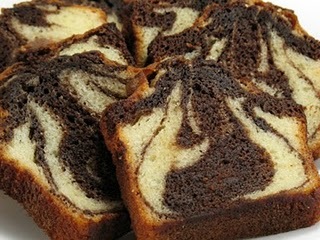 d) Marble cake – All of the flavours manage to work together, even if they never really blend. Wikipedia calls “You cut, I choose” a “two-party proportional envy-free allocation protocol” which is quite representative of the considerable scholarly literature on the concept of fair division of a limited resource that starts with a discussion of the classic sibling rivalry over the last piece of cake. (Between the innumerable articles on cake cutting and the ubiquitous DR references to expanding the pie, it may be time to question the eating habits of DR scholars.) Here are just a few resources on the eternal question, all of which are specifically focussed on the topic of impasse breaking. 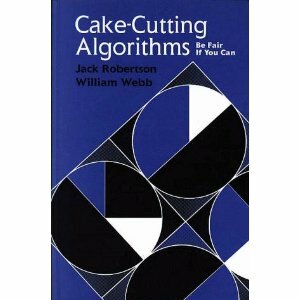 I haven’t read Robertson and Webb’s book Cake Cutting Algorithms, but the publisher writes that “[t]his book gathers into one readable and inclusive source a comprehensive discussion of the state of the art in cake-cutting problems for both the novice and the professional. It offers a complete treatment of all cake-cutting algorithms under all the considered definitions of “fair” and presents them in a coherent, reader-friendly manner. Robertson and Webb have brought this elegant problem to life for both the bright high school student and the professional researcher.” Given how complicated the math is in some of the texts I’ve looked at, I may just check out a book that can be read by bright high school students! I have read Brams’ and Taylor’s Fair Division: From cake-cutting to dispute resolution and would recommend it only to readers who are comfortable with math. That said, the basic premise of most of the chapters is simply described at the beginning and is itself a reasonable talking point for discussing fair division options. The book itself might be a good “prop” in specific business negotiations, much the way von Oeck’s list of creativity strategies works by asking parties to think about using a specific technique. Thinking about why or why not the technique might work refocuses parties on criteria for settlement rather than specific points of dispute. Both of these books are available through CoRe’s aStore. The Cake Cutting Problem on mathematics-in-europe.eu – a short and sweet overview of the fair division problem. The band combines multiple musical genres to create its unique sound (ska, rockabilly, jazz, country, rap…) and so could be viewed as the musical equivalent of marble cake as a metaphor for conflict resolution. Any musical interlude has the potential to act as a pattern interrupt, of course, but the music video for The Distance is itself a wonderful example of combinational creativity! And it even has a business theme going on. This one is simple chemistry: caffeine and serotonin are the most commonly identified sources of chocolate’s mood altering chemistry. Caffeine, of course, increases mental activity (and wakefulness in a long drawn-out discussion); and serotonin is described as having a similar effect to Prozac – calming and relaxing. Make your afternoon snack chocolate cake in one form or another for a relaxed, but wakeful discussion. The notion that limitations can generate spontaneity will be familiar to most mediators. How many times have you said, “We have only X minutes left in our scheduled time …” only to see the parties shift from a determined positional stance into a problem solving approach? Suddenly, they are able to throw out spontaneous suggestions and ideas without hesitation. In fact, limitations can be freeing; if you know there isn’t time to do an excellent job, then you can’t be judged (or judge yourself) too harshly for a mediocre job. Permission granted to be less than perfect, and suddenly it is much easier to brainstorm without self-censoring or immediate critique of others’ ideas. One of the motivating ideas behind this blog was a desire to test my belief that limitations can increase not just creativity, but also productivity. In this case, the limitations imposed by a weekly blog – the need to produce different ideas quickly and frequently within a relatively contained format – should, if the theory works in practice, promote spontaneity in the production of short written pieces. And certainly in the world of applied improvisational theatre, spontaneity is the key to generating more ideas. Spontaneity is not, however, something we find natural in most circumstances. From our earliest days, we are trained to control our impulses. As we get older, we learn that we should evaluate our thoughts before expressing them. The more serious and business-like the setting, the more self-censorship we should impose so as not to make “silly” suggestions or express ill-considered ideas. Conflict, of course, means even more self-monitoring and hesitation before we speak; the “other guy” will criticize all our ideas so we’d better think carefully before sharing them. Looking to the world of applied improvisation, we see a number of professionals who have devoted study and practice to solving exactly that problem: improvisers train to develop their “spontaneity muscle” and the tools they use to develop their own capacity to relax their censoring and rebuttal impulses can provide wonderful ideas for application in mediation. Some of the simplest exercises can be imported in their entirety into a mediation in order to give people a mindset “jolt” by explicitly warming them up for spontaneity. A fabulous resource for mediators – that doesn’t make it’s way onto mediator resource lists, but should! 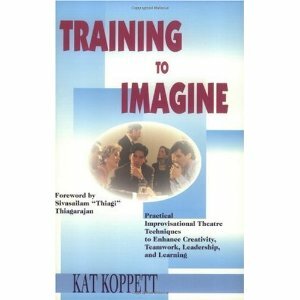 – is Kat Koppett’s Training to Imagine: Practical Improvisational Theatre Techniques to Enhance Creativity, Teamwork, Leadership, and Learning. This week’s jolt is adapted from Koppett’s description of the exercise, Word Drill. I encourage all mediators to explore this book for many other transferable ideas too. Word Drill involves one or more persons rapidly throwing out words that have no connection to each other. Another participant responds as quickly as possible to each word with the very first word that occurs to them. There are quite a few variations on the format for Word Drill, most of which involve placing one person in the “hot seat” while everyone else fires words at them in rapid succession. This can work in some mediation settings, especially if the mediator goes first in the “hot seat” to show that it is really not connected to the issues in dispute – it’s not a trick to get people to agree. Once the mediator has taken her turn, it’s much safer for a party to agree to be in the “hot seat”. To run this version of Word Drill, the mediator will invite everyone else to take turns throwing words to the mediator, encouraging the participants to be ready to go as quickly as possible. Participants can think ahead, and should try to throw out unconnected words for the mediator to respond to. After a few rounds, one of the parties can move into the ‘hot seat”. A variation that may be less threatening in some circumstances is to have the mediator lob all of the words back and forth between participants. It’s important to emphasize that there are no right or wrong answers. The goal is explicitly to get used to throwing out spontaneous ideas and not self-censoring or critiquing in order to create a mood in which the group can brainstorm effectively on the topic in issue. Start with the mediator throwing out the words, and then shift to a round table approach where everyone passes a word to the next person. When the exercise is flowing smoothly, shift to allow the disputing parties to play as a pair going back and forth, modeling the type of back and forth communication needed in the mediation. Ask the parties to comment on the process. What challenges did they face in coming up with words to throw out? Did they want to find a “good” word before speaking? How much did they feel like self-censoring? Did that change as the exercise progressed? Are they ready to try to bring the same energy to discussing the items on the mediation agenda? Before the mediation, the mediator can warm-up their own “spontaneity muscles” for their role in facilitating by playing a solo game. Try to make rapid associations of words in your head or out loud without evaluating the associations. See how long you can stay “in the moment”. While this may be a little “too much” for some, I decided to try recording a series of words with pauses and burning them onto a cd to play in the car on the way to a mediation. This allowed me to play word drill with random words, rather than with a chain. Some readers will know that I also tried this out with a recording of a variety of phrases in need of reframing to get myself into a reframing mindset. I’ve found that a cd that starts with word drills and moves into reframing is an excellent warm up for a mediator. Asking my daughters to help record ensured lots of variation. Welcome to CoRe Jolts! 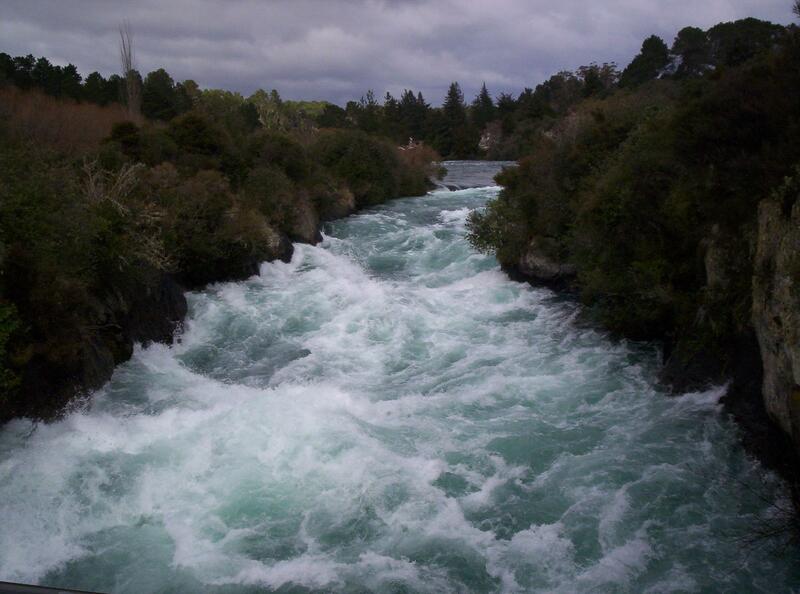 This blog is a fundraising project for the CoRe Conflict Resolution Clinic at UBC. The CoRe Clinic is a registered charity that provides affordable mediation services and conflict resolution information through the dedicated work of volunteer law students and professional mediators who donate their services as mentors. Of course, I can imagine why the idea waited until I was primed for creativity and able to see the combinational opportunities, and that’s what’s behind one of the purposes of CoRe Jolts. We all need jolts from time to time. Koppett, speaking about training exercises – defines jolts as “short activities designed to change attitudes of mindsets.” As mediators, we may use the term in the same way in reference to many impasse breaking techniques, but might also apply it to quick means of re-engaging our own creativity. I’m planning to collect jolts for use in mediation, jolts for mediators and jolts that make me think about any aspect of my work differently – even if only for a moment. You can expect some common themes in these jolts, especially in the beginning. I’ll start by sharing what I know best and have used the most myself, so you’ll definitely see jolts about applied improvisational theatre games, jolts drawn from popular culture, and jolts from my teaching practice (I’m jolted several times a term by new perspectives on something I have said dozens of time before.) I’ll also bring together new ideas from my readings, new experiences and probably lots of ideas that emerge simply from the process of keeping up the blog. After all, one of the most important rules for creativity amongst improvisers is to nurture spontaneity. Committing to weekly blogs will serve the purpose of limiting my time for over-thinking and force me to work with whatever ideas I have at the time. I’m hoping that it will be a lot like improvisation in its benefits – with a little more editing time to eliminate the worst groaners. This project will work best with collaboration, of course, so please add your comments! Feel free to riff off anything you see here, but help me in return by providing your thoughts, too. It’s bound to produce even better ideas! I hope that mediators and others who like the ideas and resources will donate to support the operations of the CoRe Clinic (or become a member of CoRe). As well, the weekly “jolts” will be collected for publication as a handy tool to carry into mediations. That tool will be available for sale with all profits going directly to support the Clinic.